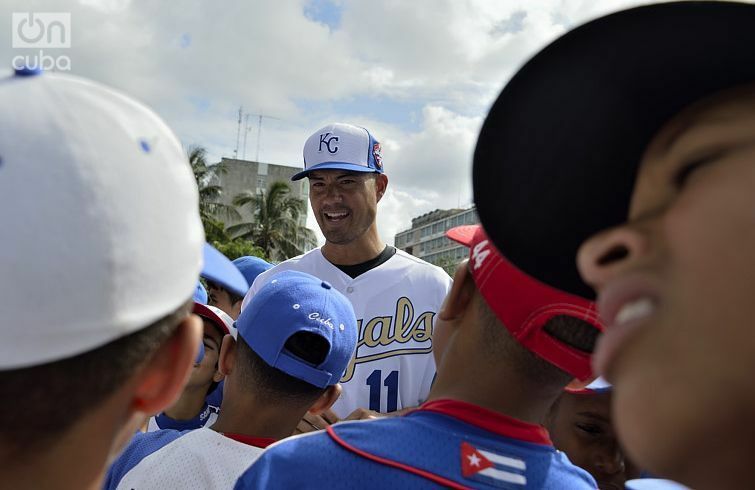 Jeremy Guthrie, a pitcher in 13 U.S. Major League Baseball seasons, chats with Cuban children. Photo: Otmaro Rodríguez. 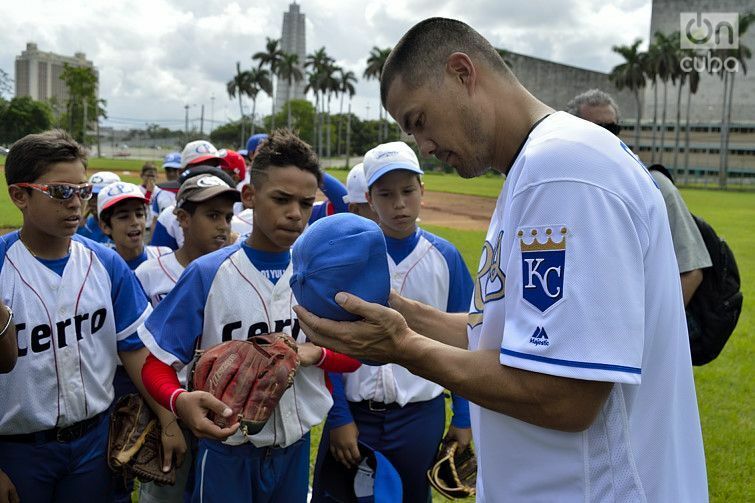 “I played every day, that’s my secret,” said Jeremy Guthrie, a pitcher in 13 U.S. Major League Baseball seasons, to dozens of children who were listening to him in Havana’s 50 Aniversario baseball field. 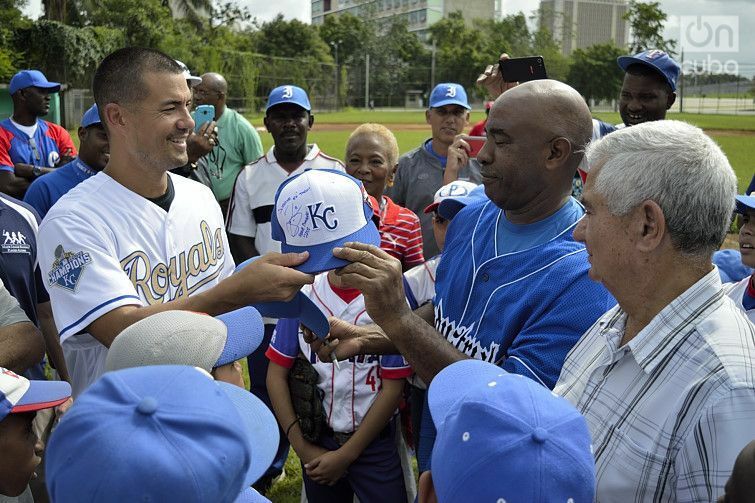 A 2015 World Series champion with the Kansas City Royals, he surprised us with his good Spanish during the clinic he gave to school category baseball players, together with trainers and already retired Cuban figures. Jeremy Guthrie gives his autographed baseball cap to Rolando Verde. Photo: Otmaro Rodríguez. 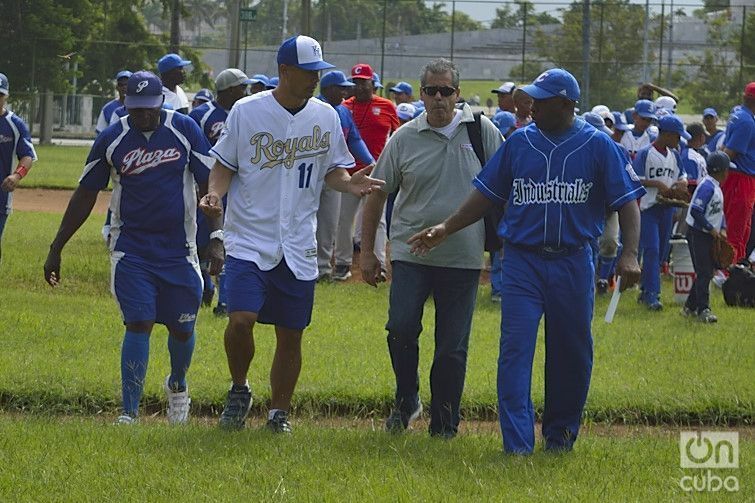 The veteran pitcher also attended the clinics in the Matanzas and Pinar del Río stadiums. 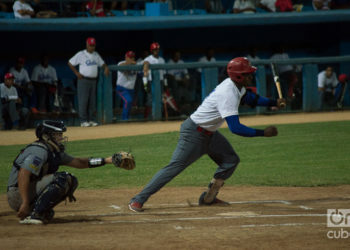 The visit is not endorsed by the central office of the MLB, but it is by U.S. Major League Baseball Players Alumni Association (MLBPAA), which organized the exchange together with the Cuban Baseball Federation. “Even if it’s a single person, a single friend, we played and that way I got better. 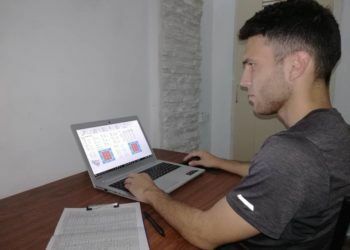 Because no one taught me as well as you are being taught,” said the baseball player, a solid opener during the major part of his 13 seasons in the Major Leagues. Jeremy Guthrie signs autographs for the children. Photo: Otmaro Rodríguez. 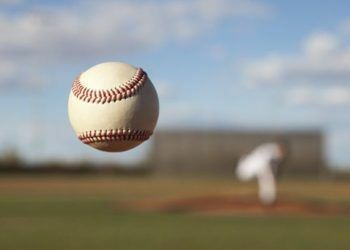 “If you love baseball you have to practice every day, because you love it, because you like it. If you do it, you can do whatever you want, play professional or with the Industriales. That’s my secret. If you want to be pitchers you have to pitch every day; if you want to be batters, bat every day,” said the visitor, who during his passage through the MLB also played with the Cleveland Indians, the Baltimore Orioles, the Colorado Rockies and made a fleeting appearance with the Washington Nationals in 2017. 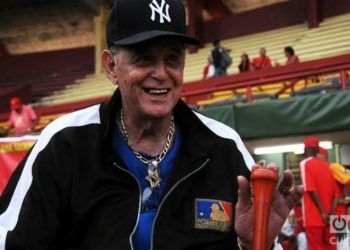 With Guthier were well-known Cuban players Lázaro de La Torre, Rolando Verde, Antonio Scull, among others. Dressed in his Royals uniform, with the insignia of champions on his right arm, Guthrie had pictures taken with the children and signed autographs for them. He also exchanged his cap, autographed, with Rolando Verde. 1. Jeremy Guthrie giving classes in the baseball clinic. Photo: Otmaro Rodríguez. Jeremy Guthrie giving classes in the baseball clinic. Photo: Otmaro Rodríguez. 2. Jeremy Guthrie giving classes in the baseball clinic. Photo: Otmaro Rodríguez. 3. Jeremy Guthrie giving classes in the baseball clinic. Photo: Otmaro Rodríguez. The exchanges continued past Saturday in Palmar del Junco, with other retired athletes from the island like Evelio Hernández, Eduardo Cárdenas, Lázaro Junco, Lázaro Garro and José Estrada. On Sunday Guthrie taught the children together with Omar Ajete, Juan Carlos Linares, Giraldo González, Pedro L. Dueñas and Lázaro Madera. De La Torre giving classes in the children’s clinic. Photo: Otmaro Rodríguez. 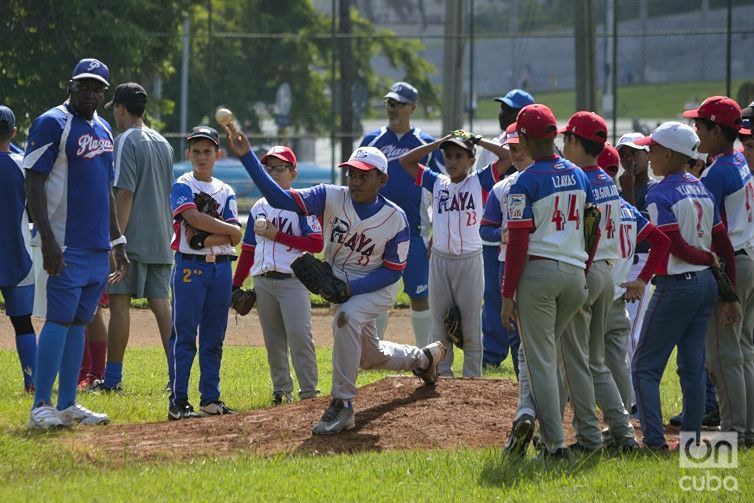 Ever since the reestablishment of diplomatic relations between Cuba and the United States, U.S. teams and athletes have visited Cuba to participate in sports clinics, meets and friendly games. 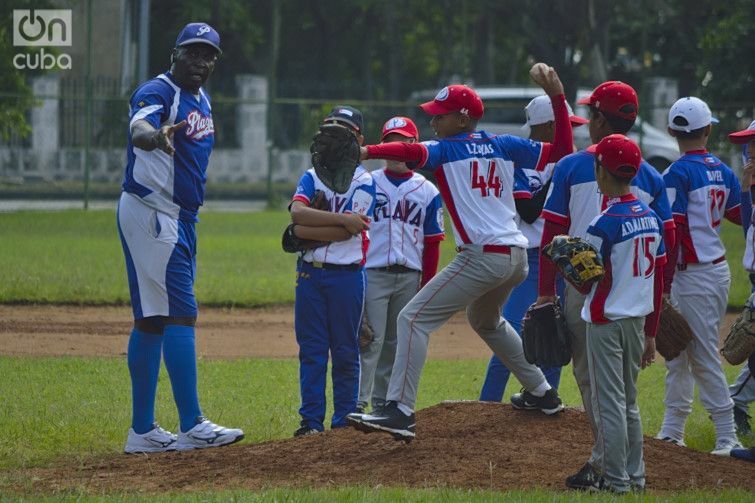 The MLB and its MLBPAA gave clinics in Havana’s Latin American Stadium and Matanzas’ Victoria de Girón in December 2015. That historic delegation was made up by Joe Torre, MLB director of sports operations, and Dave Winfield, MLBPAA special consultant, together with active stars Miguel Cabrera, Nelson Cruz and Clayton Kershaw. 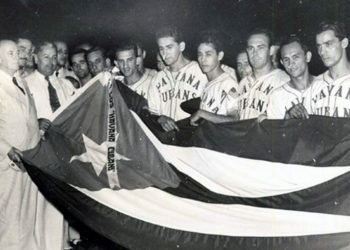 But the most transcendental part of the event was the presence of Cuban émigré baseball players José D. Abreu, Alexei Ramírez, Yasiel Puig and Brayan Peña. Like this time, on that occasion retired Cuban stars Pedro L. Lazo, Pedro Medina, Rey Vicente Anglada and Orestes Kindelán also participated. 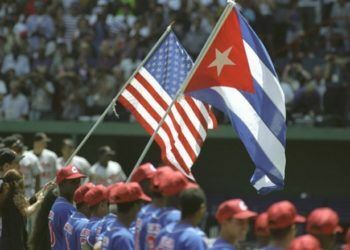 On March 22, 2016, Raúl Castro and Barack Obama witnessed in the Latin American Stadium the friendly game between the Cuban national team and the MLB Tampa Bay Rays. 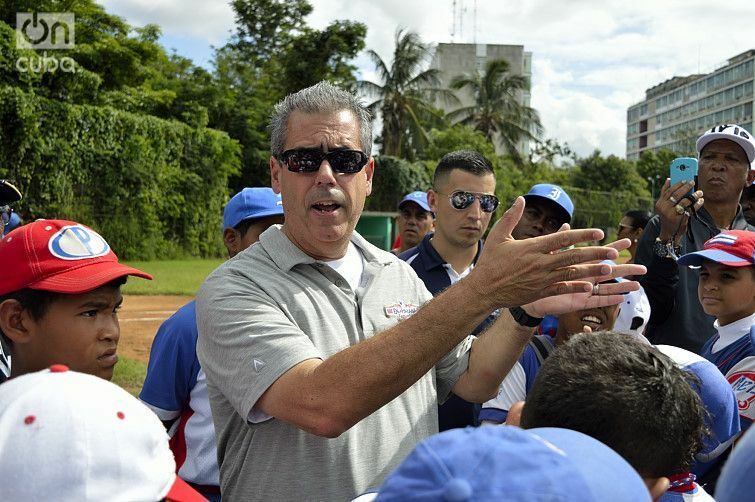 The MLBPAA organized the exchange together with the Cuban Baseball Federation. Photo: Otmaro Rodríguez.